Punches have fully polished barrel. Amazing Drapery Hardware Our Store About Us Contact Us Add to Favorite Sellers 1 QTY : C.S. 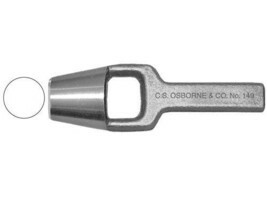 Osborne Co. No.149- 1 3/16" Arch Punch 1 QTY : C.S. 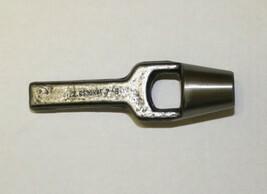 Osborne Co. No.149- 1 3/16" Arch Punch. 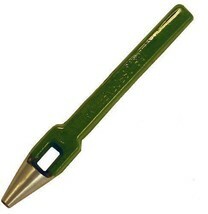 This is a 1 3/16" ARCH PUNCH. Osborne arch punches are forged in one piece from the finest special carbon steel A unique feature of the Osborne arch punch is the inside taper which permits the punchings to clear easily through the barrel. 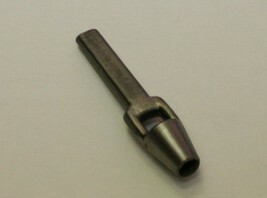 Punches have fully polished barrel. 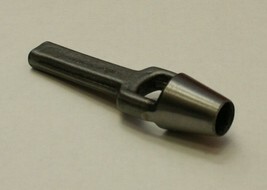 The cutting edge is fully hardened all the way through and properly finished to provide long use trouble free punching. 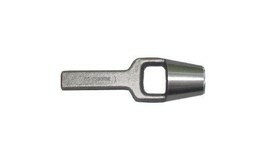 Type - ArchCutter Diam - 1 3/16 inWt. - 14 ozOriginal and correct design for cutting. 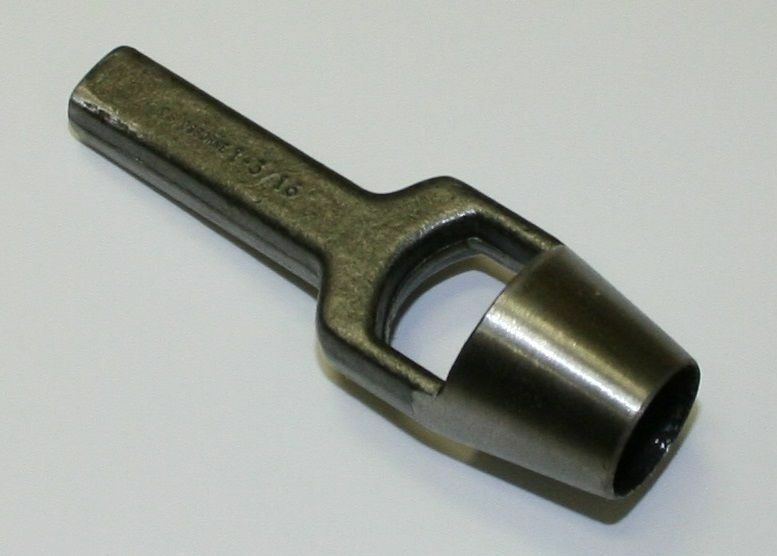 Meet government standards.These punches should be used on an Osborne No. 603 Cutting pad. The use of an Osborne wooden mallet or rawhide hammer is recommended. Steel hammers are not recommended. Quality tools from C.S.Osborne. Made in the USA, built to last. 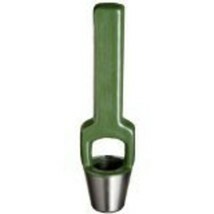 MADE IN USA Click here for more product information Find this and much more, at our store, Amazing Drapery Hardware. We ship internationally.Select one of our international shipping options to take advantage of our discounted international shipping rates . Buyer pays any import fees- tax/tarrif/duty. WORRIED THESE ARE RIGHT FOR YOU? NO PROBLEM! We accept returns on all our parts within 30 days for a full refund. AND We are also here to help you through your ordering process. AND We are still here to help with any questions you may have about your installation once you receive your parts and get to work. QUESTIONS??? EMAIL US We have years of window treatment experience, WE CAN HELP!